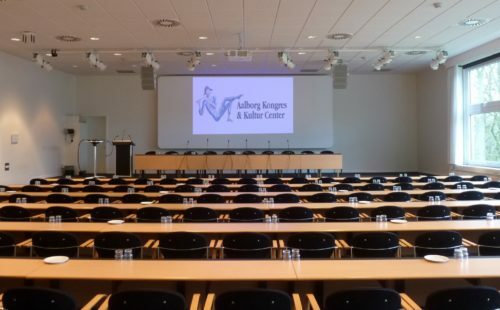 The Aalborg Kongres & Kultur Center (AKKC) is one of Scandinavia’s largest conference and cultural venues, welcoming more than half a million visitors each year to live music and theatre, fairs, exhibitions, conventions and other meetings. The recent installation of four more Alcons Audio systems has meant anyone can deliver the highest quality presentation, with no technical assistance required. AKKC has featured Alcons products since 2009, when an LR16/LR16B/LR14 compact line array system was installed in the main, 3250-capacity, Aalborghallen and an LR14/LR14B ultra-compact line array in the 625-capacity Europahallen. These were complemented by a mobile LR14 system. The latest installation adds Alcons LR7/120 wide dispersion micro line-array systems to four of the venue’s 100-250 capacity meeting rooms. An important factor in the choice of products was that the rooms are rented out on a ‘do it yourself’ basis, so the audio infrastructure has to deliver foolproof, high quality sound, but without the assistance of a technician. “Our conference department wanted the new systems to have four channels of headset and handheld wireless microphones, so the dispersion control of the loudspeakers was extremely important,” says Torben Laursen of the AKKC sound department. “The high gain-before-feedback qualities of Alcons pro-ribbon technology means that the systems are very forgiving in terms of microphone placement and handling. Powered by Alcons ALC4 amplifier/speaker controllers in the two larger rooms and ALC2s in the smaller ones, the systems also feature Shure ULX-D wireless microphones, Yamaha MTX3 installation mixers, DIS conference systems and straightforward Crestron touchscreen controls. An external mixing console can be plugged into each system, if needed. “When renting meeting facilities, time is money – especially for smaller companies. They want to spend all of that time having their meetings, not figuring out the audio system, trying to combat feedback or having to compromise their presentations to allow for the system’s limitations,” says Alcons co-founder Tom Back. 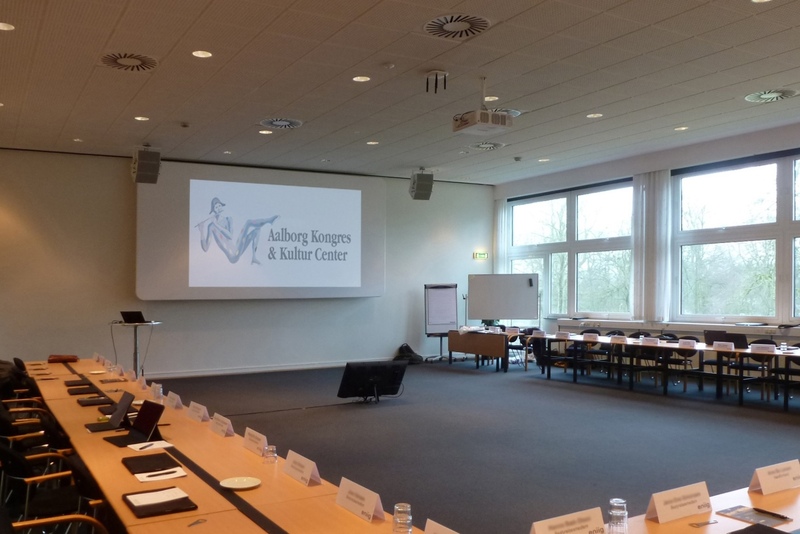 As well as hosting meetings and conferences, the versatility of the Alcons LR7 systems has also enabled AKKC to make plans for hosting live performances in the larger meeting rooms.